Perspectives brings together different voices on a topic. In this post we look at attitudes towards skin colour in Brunei, from Tasya’s reflections on skin whitening, to Santika’s burgeoning interest on perceptions of skin colour, finally Columnist in his essay on binary oppositions and ideals. 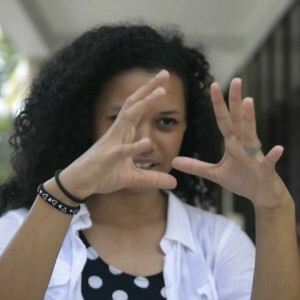 Final year student Santika Apri discusses how her joint honours at the University of Exeter in English and Geography, led her into research on the perception of skin colour within Malay society in Brunei Darussalam. I am currently working on a Geography dissertation. Under the pressure of time, I wrote a list of the things I am really interested in. A pattern was the representation of women’s appearances. This included the usual: fashion, makeup, bodily representations in the media. Korean cosmetics just started booming a couple of years ago and I thought… “WHY?” Skin whitening BB-creams was, at some point, a beauty essential and it’s still rather popular today. I read into a lot of articles and academic journals and there was plenty of research done on skin whitening amongst a sample of Chinese, Japanese, Filipinos, Indians and Africans but none (that I could find) was about Malays. So, boom, I had it! An opportunity to contribute knowledge about Malays in Brunei. 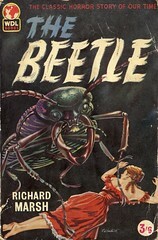 For English, one of the module readings was a novel called “The Beetle“. I highly recommend it to everyone, it is absolutely bizzarre, and one of the themes is centralised on Orientalism. Written during the period of British Imperialism, the orient is represented based on nineteenth-century imperial discourse. The orient is described as having yellow and ugly skin that not only distinguishes his physical appearance as different but also evil and dangerous. There is a constant paradox between the ways the British and the Other was represented especially with regards to white and yellow skin, good and evil, modernity and barbarism, etc. In most contexts even way before the time of British imperialism, the positive connotations of whiteness and negative associations to darkness can be dated centuries ago in many cultures. My dissertation incorporates these theoretical perspectives to explore Malays’ associations of skin colour and how it came to be so. Before Jerudong International School (JIS), I was in Paduka Seri Begawan Sultan Science College (MS). In MS, the majority of students were Asians and there was a general fear of physical education. when we were forced to play sports outdoors especially if it was a bright, cloudless, sunny day. If we had the choice between going outside or staying inside, the majority would stay not only due to the heat but also the fear of getting darker. Having moved to JIS for A-Levels was a weird transition for me. There wasn’t a fear of getting dark, but a fear of being burnt in the sun. My Caucasian friends would wear sunblock to enable them to be out in the sun and go shades darker and retain it without being burnt causing skin dryness and peeling. Back in MS, we lather sunblock on with the hopes of not getting dark. When the sun is out in the UK, everyone rushes to go to the beach and hopefully get a tan. It is an eye-opening experience being assimilated to different cultural environments and I’ve learnt that there’s different perceptions of beauty and attractiveness for different people. We don’t say tanned in Malay; the everyday discourse we use – the terms we use to describe people – are usually putih and hitam. “Makin hitam,” people say, usually as a negative remark. But no, you don’t get black. Some people get really tanned but no, not black. On the contrary, people generally call fair skin “putih”, which means white, and it is positively received if someone says it to you. I know a lot of people with medium, brown skin who would identify themselves as “hitam” and in fact some people with fair skin who too think themselves dark. We use contrasting words, “hitam” and “putih,” black and white but no one or even rarely people say tanned or “kuning langsat”. I was afraid of the potential of this research being sensitive, because skin lightening isn’t just an element of beauty. It poses issues about social processes, class and gender. But after talking about it with several friends, though some people were shy, none were offended about it. Skin lightening is a norm in our society and I’m thankful for those who has participated in my interviews and questionnaires. 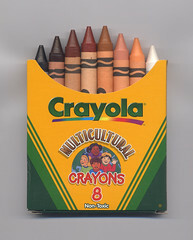 Additionally, some could approach the issue of skin colour preferences as a racial preference. They overlap, but the meanings of skin colour extends beyond categorizing a person to a particular race. My dissertation aims to explore the associations and different meanings of skin colour and the implications it poses on our society today. For more information about the University of Exeter and Santika’s experiences so far, check out the full interview here. There is a tendency to think in terms of becoming a better person through a certain kind of telos and objectivity: there is an end-goal which awaits us. Complicit in this way of thinking is feeling of security with quantifiable things – weight control is measured in calories, intellect can be measured in an array of terminology based on numbers, there is even a measure of our wellbeing in terms of gross national happiness. The count keeps us in check, the numbers anaesthetises our anxiety, and therefore there is an illusion of an eliminating uncertainty – an impression of having our entire lives under our complete control. Have you experienced a similar situation to Tasya at school? Are you interested in Santi’s dissertation topic? What other topics should be explored in relation to skin colour in Brunei? What do you think about Columnist’s notion of binary oppositions and ideals? Guys, I’m so happy you did this post. SO, SO HAPPY! I’ve been reading a lot on this issue the past few months since I wrote an article (linked as website) about it. Looking at it anthropologically, this is one of the continuous effect of colonialism that has yet to fade out. Skin whitening is a detrimental problem in racial identity as it molds a box to not only beauty on a local and cultural context, but also prejudices against your own ethnic group for their biological make up, which is why whitewashing is so prevalent in Hollywood and that skin whitening is a common phenomenon that is HAPPILY ACCEPTED in Brunei’s society because it seems like we’re bowing down to colonialists who once ruled us by being imperialists against ourselves. Also, ‘tanned’ is a trope that denies the idea of what your skin colour is (I’ve made the mistake of using the word ‘tanned’ in the past too) It indicates that “white” is still ideal, and that “tanned” is a side effect to white. The origin of this belief in Africa is not clear, but researchers have linked it to Africa’s colonial history where white skin was the epitome of beauty. Some have also suggested that people from “brown nations” around the world tended to look down upon dark-skinned people. Thanks for your kind comment, we hope this website can cover a broad range of topics and attract insightful discussion. Our standards of beauty is always changing just compare models form the 1950s to today for example. In the western world, we now have a much wider racial mix of people which is clearly affecting the standards of beauty. Globalization is not a one way street from the west to the rest (ie Asia, Africa, South America). All these different groups interact with one other to the point that now we now have a much broader understanding of what beauty is. Hi guys, great topic. It’s something that has been going on for such a very long time. And I never realised it was a side effect of being a Commonwealth nation. I grew up as a darker skinned girl than my sisters, what they call ‘hitam manis’. When I was watching Tasya’s interview, it reminded of those moments where my mother would tell me to use products to lighten the skin (do they still sell Fair and Lovely in kadai runcit?) and watching Bollywood movies where the female leads are ‘putih melapak’ despite being Indian, a kid that age is suggestible to the idea that ‘white’ is ‘pure’ and ‘desirable’. My self-esteem was directly linked to the colour of my skin. I never thought I was attractive especially in family gatherings when I stand among my fairer sisters and cousins. And then I moved to Australia. For studies initially, and now for work. 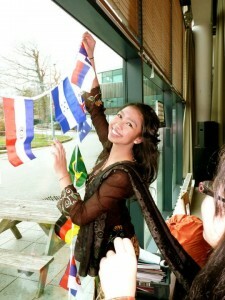 After meeting a lot of people from different races, I began to think having this skin colour is a blessing! You stand out easily because you’re different and exotic. I thought, how strange it is to be an unattractive person in your own country but the opposite in a whitewashed world. I see women going to tanning salons who would die to get my skin colour. I see white people with sunburn marks, while I just go a few shades darker. All this time, I, like so many others, have been brainwashed to think we’re not gorgeous unless we conform to the white is might mentality. It makes you wonder why this mentality is still prevalent. My two cents? Whole multi-billion worldwide industries will crumble if we all realise how gorgeous we look just the way we are. Thanks for reading, which aspect did you find interesting?